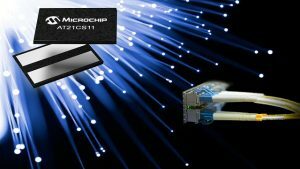 A single-wire, two-pin Electrically Erasable Programmable Read-Only Memory (EEPROM) device with a 2.7V to 4.5V operational voltage range is now available from Microchip Technology Inc. 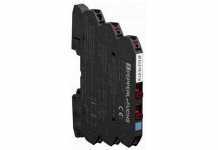 The AT21CS11 is ideal for identifying and authenticating remote items, such as cartridges or cables, where space for electronic components is limited. Each AT21CS11 contains both a preprogrammed unique serial number and five EEPROM memory sections. Any or all of the memory sections can be permanently locked by the end-equipment manufacturer to allow tracking of products and identifying attachments to assist with counterfeit prevention. The EEPROM is ideal for customers who need to warranty their product or prevent counterfeits and ensure proper continued operation of their goods through authorised replacements. 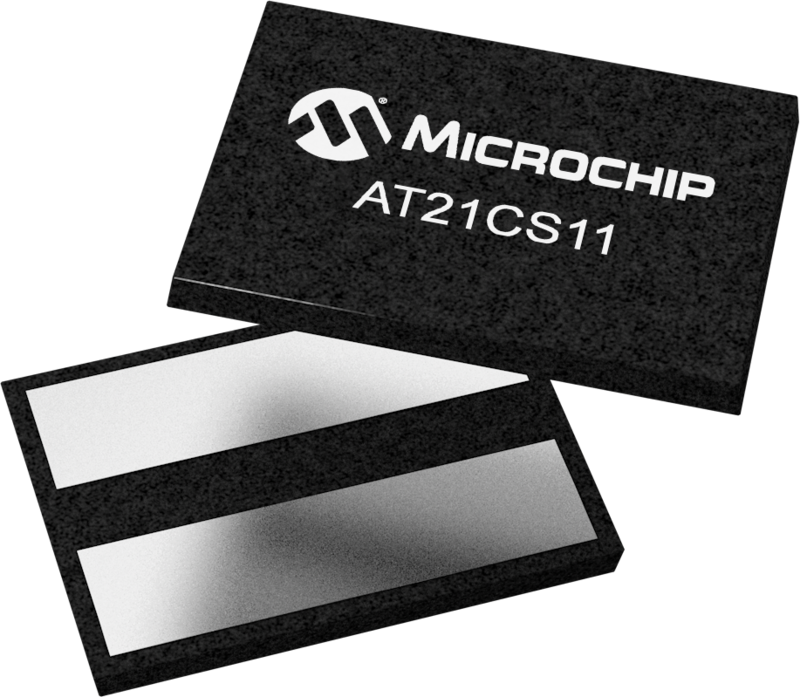 The AT21CS11 is the second single-wire EEPROM offered by Microchip. The new device extends the operating voltage to 4.5V making it suitable for lithium-ion battery-powered devices such as disposable medical devices and e-cigarettes. 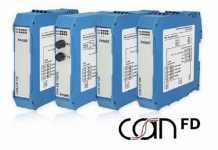 The new device connects to a system through a Single Input/Output (SI/O) wire that serves as both the communication and the power supply to the part. Needing only one wire and a ground allows makers of Fiber to the Home (FTTH) cable ends to add critical cable characteristic parameters to different cable types. The SI/O wire also enables a simple two-point mechanical snap-in or twist-on connector for disposable devices where larger three-, five- or eight-wire solutions become impractical. By locating the EEPROM in a detachable cable or cartridge, manufacturers can create attachments that can be easily identified or authenticated. The device has 1 Kbit of EEPROM memory (four sectors of 256 bits each), a 64-bit serial number and 128-bits for extra user-programmable tracking memory. The extra memory allows designers to add unique identification and operating parameters, such as consumption and usage information, in locations that can be remote from the main electronics. The AT21CS11 is available for sampling and in volume production in a variety of package options in 10,000 unit quantities. The AT21CS01/AT21CS11 Single-Wire Evaluation Kit (part #DM160232) is also available.